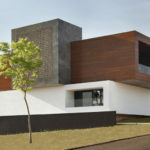 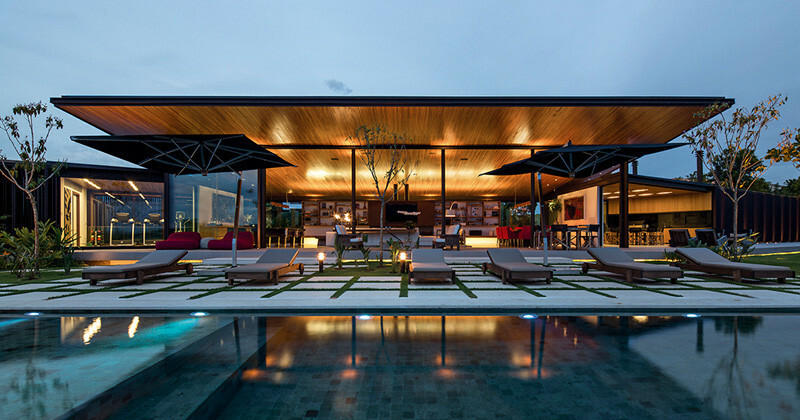 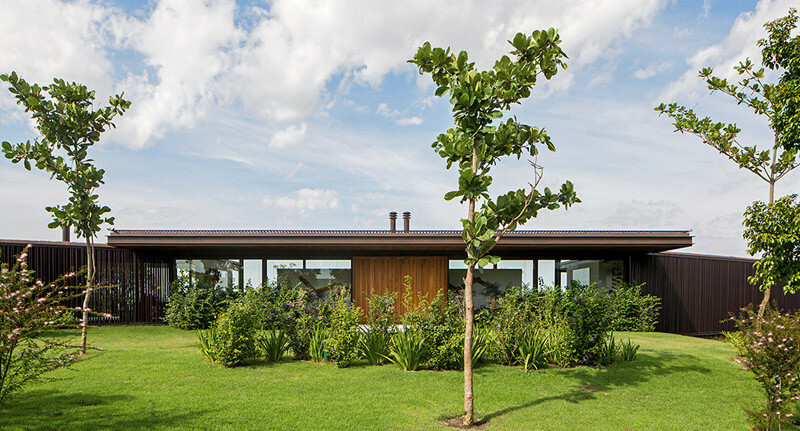 Jacobsen Arquitetura designed this home in a rural area of Bragança Paulista, Brazil. 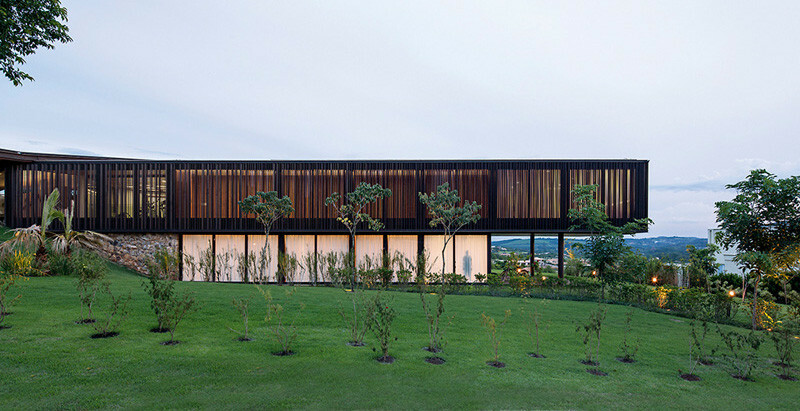 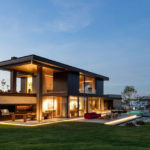 The home was designed to work with the site’s contour lines, solar exposure and remarkable panoramic view. 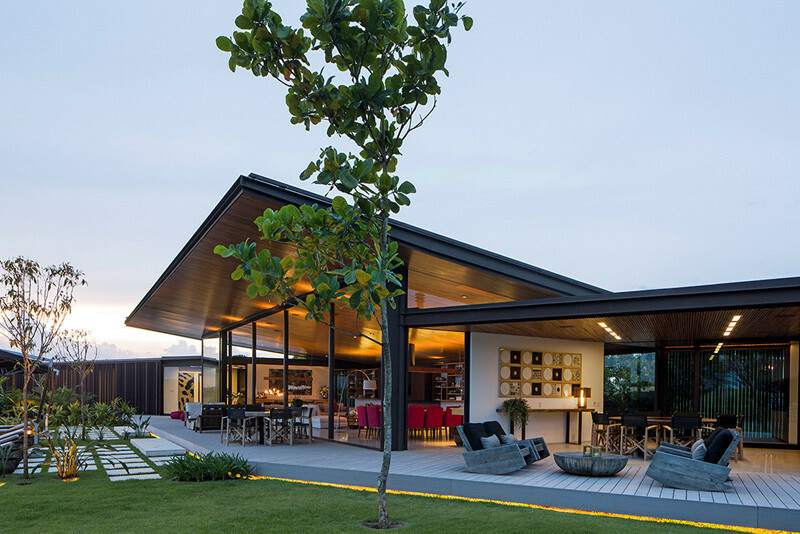 The rear of the home opens up with a large angled roof section. 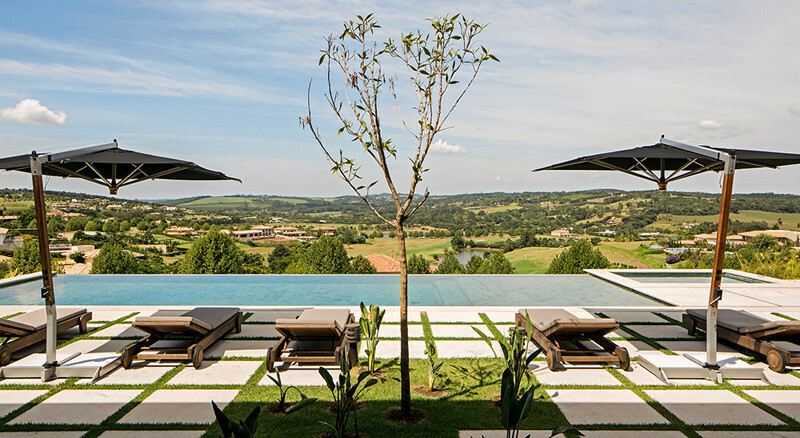 The swimming pool and surrounding lounge areas take full advantage of the view. 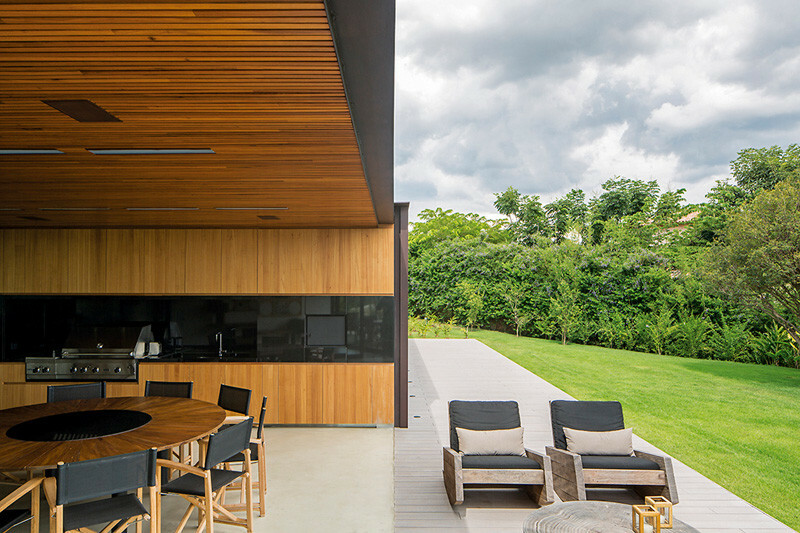 The kitchen and dining area open directly to the backyard of the home. 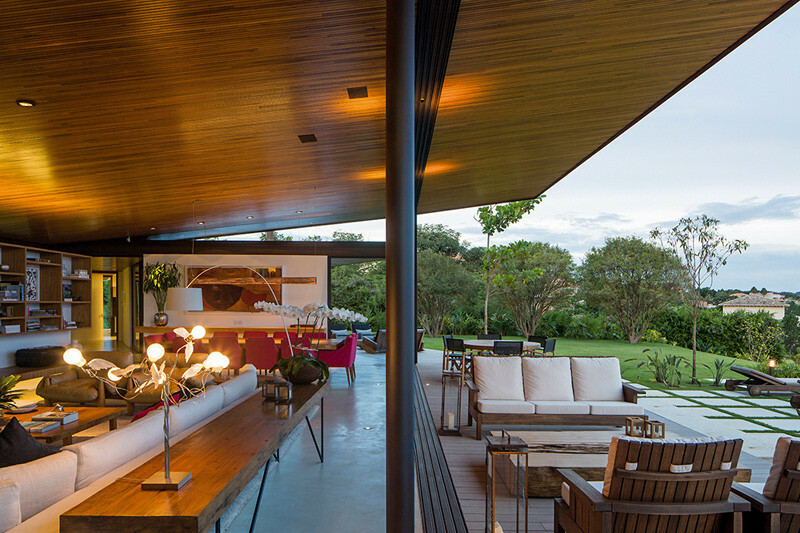 The interior living area is almost doubled in size with the outdoor lounge area. 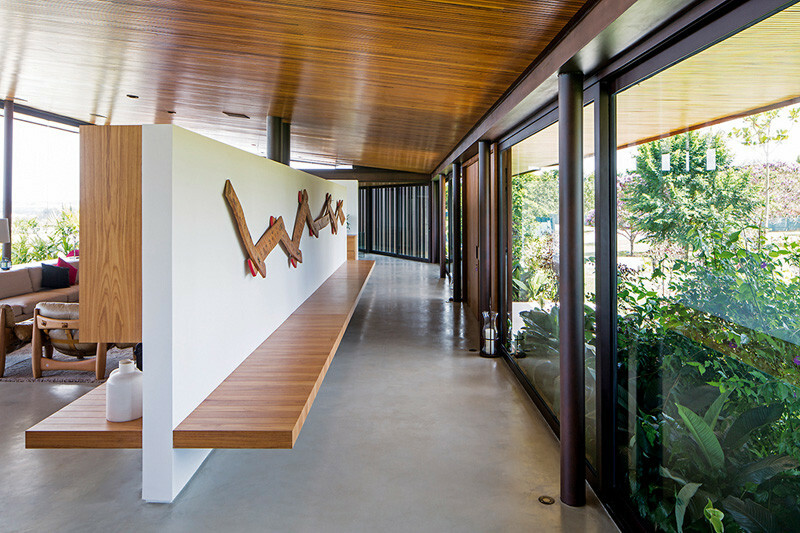 Behind the living room, is a dividing wall, and on the other side of the wall is the front door to the home. 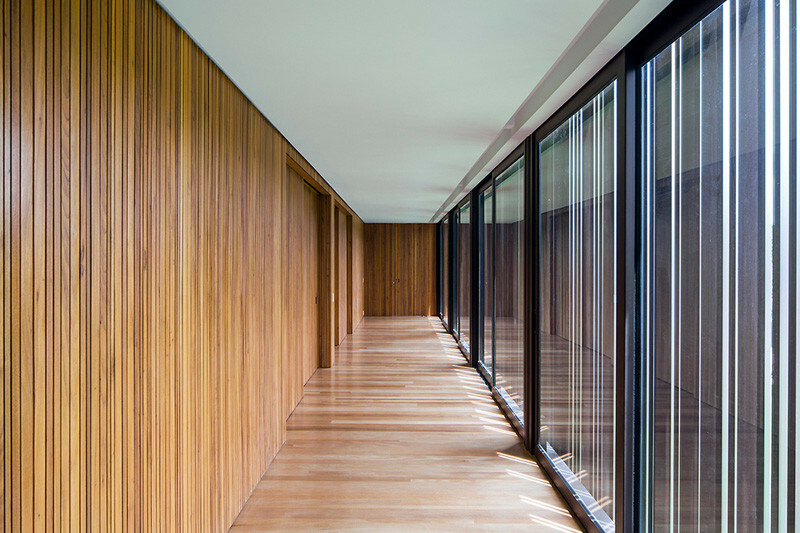 A long wood-lined hallway is filled with natural light from the windows. 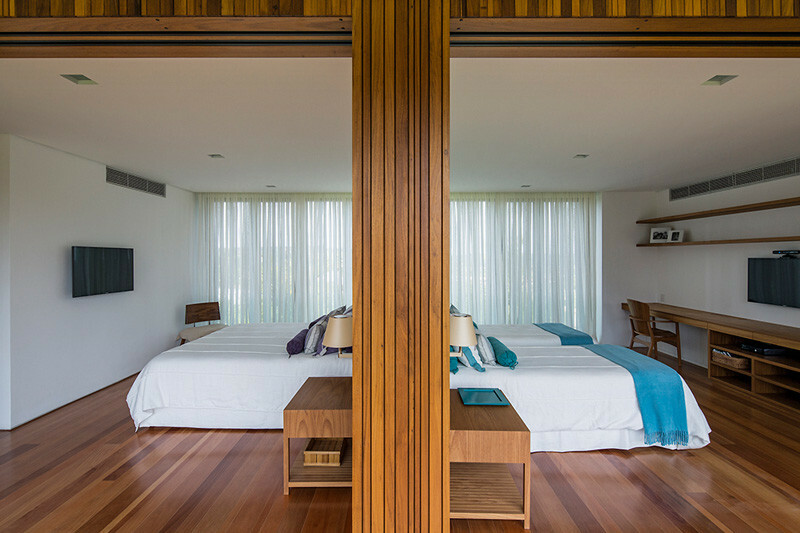 The layout of the bedrooms are back-to-back in their design.